I remember driving through some random neighborhood in California on my way to or from a hotel when I saw it. 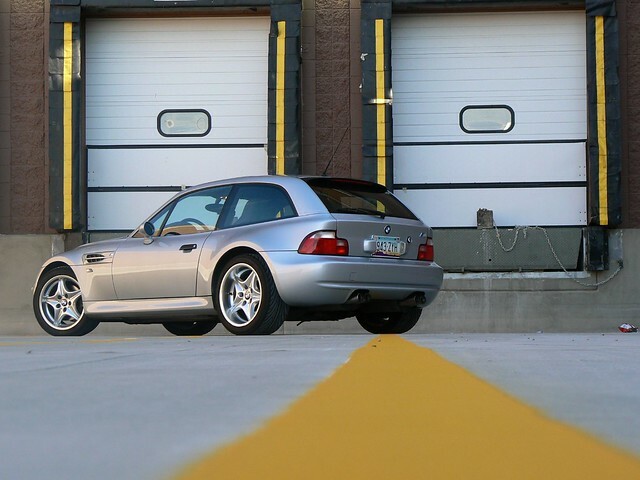 An Imola M Coupe sitting in a carport. I only saw it briefly out of the corner of my eye. I threw the car in reverse and backed up to get a closer look. I couldn’t take my eyes off of it. It was like nothing I’d ever seen before. I assumed it was out of reach financially and just wrote it off as a dream car. While I was getting my undergrad, I worked as a teller for Bank of America. There were twin brothers that both owned E46 M3s, one of them came into the bank everyday to make a deposit. 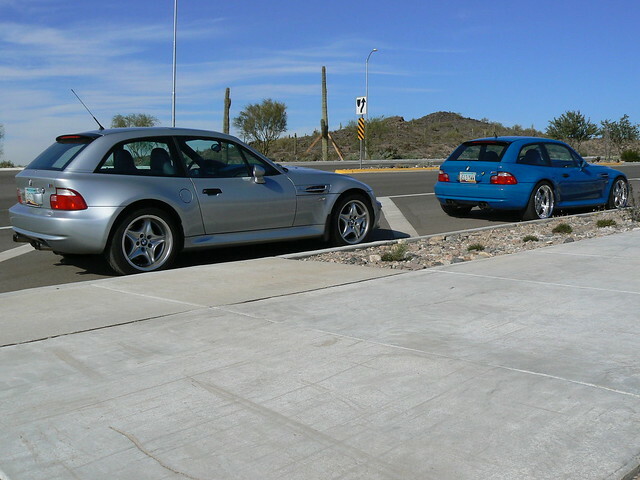 One of the M3s was Laguna Seca Blue, the other was silver. I wanted a Laguna Seca Blue E46 M3 since then. 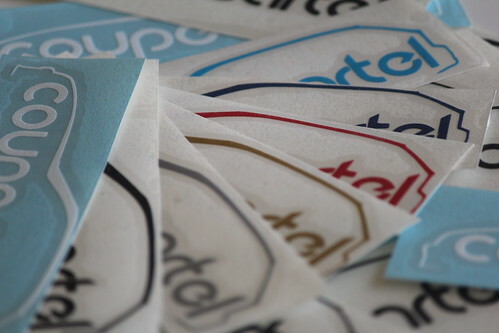 Fast forward to August 2005. My then daily driver Saturn Ion was totaled when I was nailed by some moron rushing to make a left on a yellow. I was relegated to my wife’s Hyundai, as I was driving the farthest to work and we wanted to keep the miles off of the new car. I hated that Hyundai. After driving it for a little over a year, the radiator blew up on the freeway on my way to work, 30 miles away from home. After hassling with Hyundai to get it covered under “America’s Best Warranty” I’d had enough. I decided on a whim to check the KBB value and listed it for sale on Craigslist. The first people that looked at it, didn’t test drive it, paid full asking price a few days later. I was happily without a car and started looking for a replacement. I remembered the Laguna Seca Blue M3, but I couldn’t find one for sale locally, and it was out of my price range anyway. I searched Craigslist every 15 minutes for days, keeping my options open to anything in my price range. 8/2/07 a 99 2.8 Z3 Coupe popped up for sale on the local Craigslist. I called the seller within a few minutes of it being listed. It was a 5 speed, Montreal Blue over beige leather with wood grain center console. I wasn’t sure about the colors, but once I drove it I knew I wanted it. I paid cash for it a few days later. After joining Bimmerforums and seeing some of the other examples of Coupes, I decided I wanted an M Coupe that I could keep for life. I wasn’t content with the purplish Montreal Blue or beige interior and I didn’t like the wood grain. I searched Craigslist and Autotrader for months. I found a few M Coupes I was interested in, but the condition and mileage was never what I wanted, or they were out of my price range. 2/12/08 I found a 99 Arctic Silver over grey/black M Coupe on the Los Angeles Craigslist. It was a single owner car, with all records, and sounded and looked like it was in great shape. My wife and I flew out that Sunday 2/17/08 to buy the M Coupe. 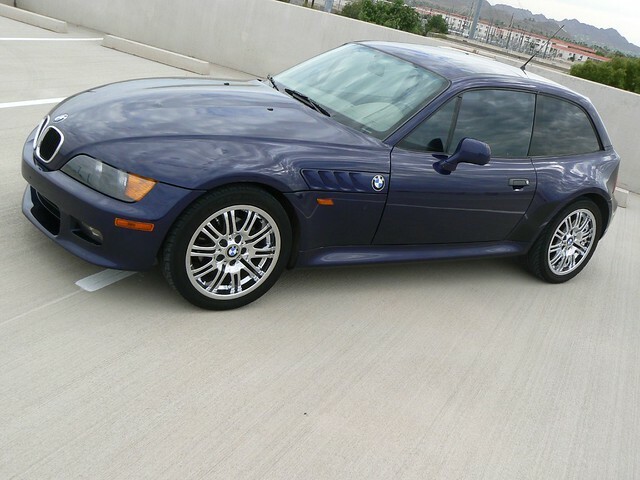 I sold the Z3 Coupe 8/29/08 for asking price to a member of Bimmerforums. After seeing a few Laguna Seca Blue S54 M Coupes posted on the forum, I knew that was what I really wanted. But they were not only really hard to find for sale, but the sellers were typically asking over $30k. Justifiably so with only 41 ever produced, and the superior 315 HP S54 engine under the hood. Again, I wrote it off as a dream and just enjoyed my S52 M Coupe. 10/9/09 was a morning like any other, I woke up and checked Bimmerforums for new posts. 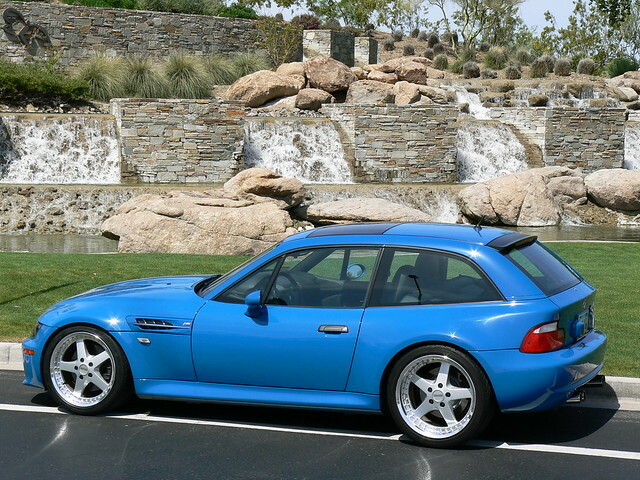 Jon Martin, owner of MCoupeBuyersGuide.com, posted a link to a 2002 Laguna Seca Blue M Coupe for sale on the Pittsburgh Pennsylvania Craigslist. Oddly, the seller had priced it way too low at KBB price. I was shocked. I immediately emailed the seller to get more info. There were a lot of naysayers on Bimmerforums who thought it for sure had a salvage title, was a scam, or had some other negative past. After a long discussion with the seller I found out the details. The original owner was a Dr in New York who had cancer. When he became too ill to drive the car, his brother (in-law?) took ownership. The new owner was also a doctor, and lived in Pittsburgh Pennsylvania. I don’t think he knew much about cars, nor did he seem to care much. He seldom drove the Coupe, but did take it to the local BMW dealership for regular maintenance. The guy who actually facilitated the sale was a friend of the family. He worked for a local dealership, and the family thought of him as the authority on buying and selling vehicles. Lucky for me, he priced the M Coupe according to KBB, along with a few M Coupes he found at auction. 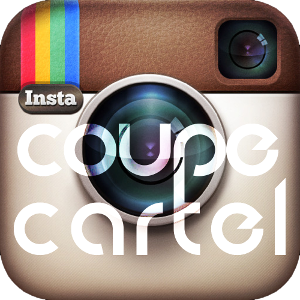 I sent a deposit for the Coupe the same day it was listed and put my 99 M Coupe up for sale. I sent a wire transfer for the remainder 10/16/09. 10/19/09 the Coupe was on it’s way to Randy Forbes in Toledo Ohio for new connecting rod bearings. S54 con rod bearings are known to spin, and with an unknown engine history in the car, it wasn’t worth the risk of not replacing them. After a lot of drama with the shipper for the second leg of the trip, my LSB M Coupe finally arrived 11/7/09. I waited more than a month to finally see the LSB M Coupe in person. I’ve been loving it ever since! 1/13/10 I sold my 99 M Coupe for asking price to a guy that lived a few miles away from it’s first owner in Los Angeles. Didn’t realize you were LA based. I’m up in Palo Alto. I’ll holler if I ever bring my coupe down to LA (usually I just fly down or take the A4 since it’s better on 5). My bad! Just assumed since I saw Los Angeles twice in this post. Haha, no sweat. I did buy my first M Coupe in LA. Hey Jeremy, I’m in the Phoenix area too in Goodyear. I just listed my Z3 coupe on the z3coupebuyersguide.com site. I’d like to show it to you if you’d like to leave appropriate comments for potential buyers on the site.